Call A to Z Entertainment, Inc. today for free information about how to hire or book country music singer Chris Cagle. Having helped hundreds of clients, we are your best agency and agent booking and hiring Chris Cagle! We book or help you hire any live professional entertainment you want, to include live country music singers, bands, and country musicians. We can also help you plan and produce your event or show. So call us today at 888-655-4575 and we’ll be happy to help you. Ask Chris Cagle what’s most important to him and you can bet he’ll answer this way: “Family, ranch, music. That’s it.” This response is seemingly simple for a man whose professional credits include two gold albums, two No. 1 albums and 12 charted songs. From 2000-2008, Cagle released an almost nonstop catalog of hits that resulted in a scorching hot career. Chris Cagle’s musical character and burning ambition never wavered but today, Cagle’s personal perspective has mellowed. 2012′s forthcoming album is, in more ways than one, a new lease on life. Born in DeRidder, La., and raised “all over,” Chris set off for Nashville after trying his hand at college in Texas and finding the pull to pursue music too strong to ignore. Like many young artists, he spent several years working odd jobs in Nashville and scraping up enough cash to record four original songs for a demo tape. Thanks to a couple of chance meetings and the opportunity to be heard by Scott Hendricks, Chris was signed to Virgin Records in 2000 – that first album featured the unaltered version of his demo songs. Chris quickly earned critical and commercial success and attracted a legion of fans that included industry heavyweights and country fans alike. 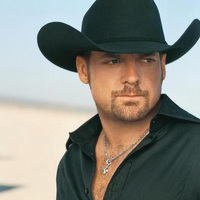 Chris Cagle’s first number one smash, “I Breathe In, I Breathe Out,” remains a fan favorite. This Chris Cagle may look a little different to those who are used to a louder, harder-partying version of the star. Rest assured, Chris still gets “as rowdy as a redneck can get,” but these days he confines himself to a smaller space – the 40’x40’ stage. And when the show’s over, he puts on a different hat and heads back to hearth and home. It is there that Chris has found balance and a new passion. Today, his biggest off-stage thrill is training and raising cutting horses, and when he puts on his cowboy boots and favorite hat, it is because he’s living the true cowboy lifestyle, not because he’s putting on a show. We’re your best talent agency and agent for booking and hiring country music singer Chris Cagle, so call 888-655-4575 today and we’ll be happy to help you. We can help you book and hire any live country music bands or country singers in addition to those you see here on our site. We’re not the exclusive booking agency of any live entertainers on this site, but we’re one of the best!.